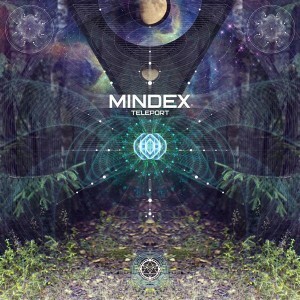 After what felt like an eternity traveling through other dimensional realms Mindex finally returns to our plane of existence with Teleport. His first desire, after teleporting back to the wonderful planet Earth, was to tell his friends a story about his epic adventures. Naturally, the best way for transferring his memories and experiences was through a carefully constructed crystalline grid of sonic geometry. He used a special device which a kind creature gave to him in a galaxy far far away. Mindex connected it to his head and heart, generating songs with his mind and emotions. So here you are. Enjoy this multidimensional galactic story! MP3 Download | FLAC Download | WAV Download · Download count: 6,759. I like the cover art, and track 2 is pretty nice as well. Thanks guys! Hope you enjoy! New Glitchy Psychedelic Bass EP coming soon through Merkaba Music again. Here is a correct working link to my facebook page – https://www.facebook.com/MindexMusic Hit Like there to stay updated!!! Bunch of new music gonna be released! Just got a listen to this, very huge, thanks Mindex for the phatness – massive work here!!! thank s for sharing !! You mastered the special device given to you by the inter-dimensional friend. Great music! I really love Mindex style, his ability to reinvent his music in every album and still retain an amazing impressive personality. This one though is my least favourite; not because of composition and sound design, which are great as usual, but because it really sounds a bit squashed and clipped, my tweeters are screaming and piercing my ears even at reasonably low volumes. Man, you don’t need all this loudness, and if someone thinks they need it, they are probably deaf.